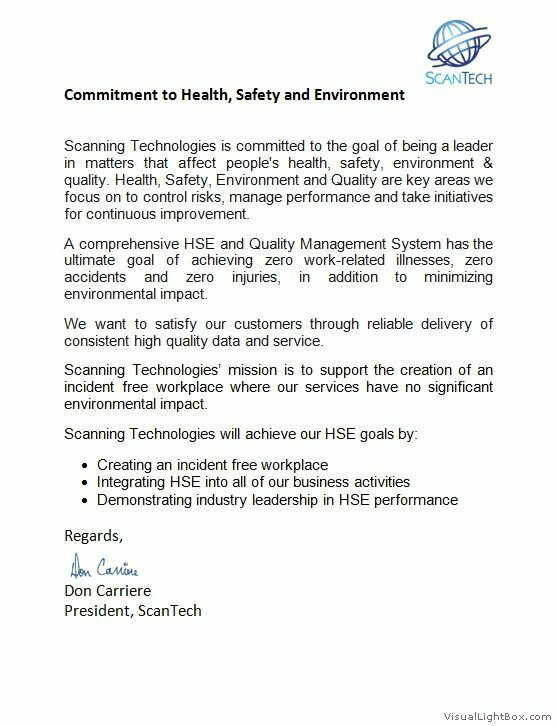 ScanTech has comprehensive Health, Safety and Environmental policies which are integral to our daily operations. HSE are key areas we focus on to control risks, manage performance and take initiatives for continuous improvement. Safety is our number one priority. ScanTech is regulated by governmental bodies to ensure compliance with standards and policies related to radioactive materials including their use, storage and transportation. These regulations specify how we perform our activities to keep our employees and the general public from receiving excessive doses of radiation. We always adhere to the ALARA priciple – As Low As Reasonably Achievable. Dosimetry to measure radiation exposure is worn by all of our workers. The total radiation exposure is measured and recorded by the national dose registry on a quarterly basis. ScanTech also has electronic dosimeters available so we can measure the dose to any individual during a specific activity. Survey meters are on all job sites to ensure that radiation fields are properly barricaded. In addition to the general training, we also undertake site specific training at each of our customer sites. ScanTech employees always follow the most stringent of safety policies whether they be ScanTech’s policies, government regulations or customer specific policies. ScanTech has been operating for over 10 years with no Lost Time Incidents and our ongoing goal is to maintain this coveted statistic. ScanTech subscribes to several contractor prequalification associations including ISN and PEC Premier. These associations work on behalf of some of our customers to ensure contractors have compliant policies and procedures in place including safety, quality and insurance. ScanTech has modelled our quality program after the ISO 9001 system. Our quality policy strives to make us the number one choice with our customers for our services worldwide. Enhance our reputation for services and products that are better than expected. Deliver results error – free and on time. Continue to meet the customer’s product and service needs – every time. Continually improve – all systems, all processes, and all products. Promote a company culture that thrives on improving products and processes. This Quality Policy was developed to express our genuine commitment to quality. We recognize that achieving a well-controlled and balanced system takes long term and total quality management. All associates of ScanTech will actively support this Policy. Our value is proven through our network of repeat customers. We invite you to be our next. Copyright © 2012 Scanning Technologies Inc. All rights reserved.